Right now, I’m chugging southward towards 55 degrees and there’s not much godlessness to report – not in the stormy, ship-capsizing, myth-carving sense anyway – the sea is remarkably still and the weather’s a bit like England on a good day in late summer: sunny, brisk and gently breezy. Nonetheless, I fully appreciate this old-school seadog’s sentiment. The water around Cape Horn, the southernmost tip of South America, the one-time end of the known world and the indifferent murderer of 10,000-plus sailors, isn’t a place with much room for God. Here, nature definitely rules. And right on cue: nature. I fix my binoculars on something in the undulating grey-blue sea outside my cabin window when a huge white bird swoops in front of my lens, its grey-topped wings guiding it low over the water before flapping wildly to bring it to a neat, seated stop. I know this guy from watching David Attenborough on TV, I know its funny little eyes, its gawky pink beak and huge wingspan: it’s an albatross, and according to another piece of seafaring folklore that I picked up from my guide Feliciano earlier this morning, each one is the wandering soul of a sailor lost at sea. Maybe he’s hoping to make a few new acquaintances today. The albatross might be right: getting in a boat to an island that’s caused more than 800 shipwrecks in the last 500 years isn’t the most intelligent way to holiday. But we’re not in some archaic sailboat, and this isn’t your average holiday. 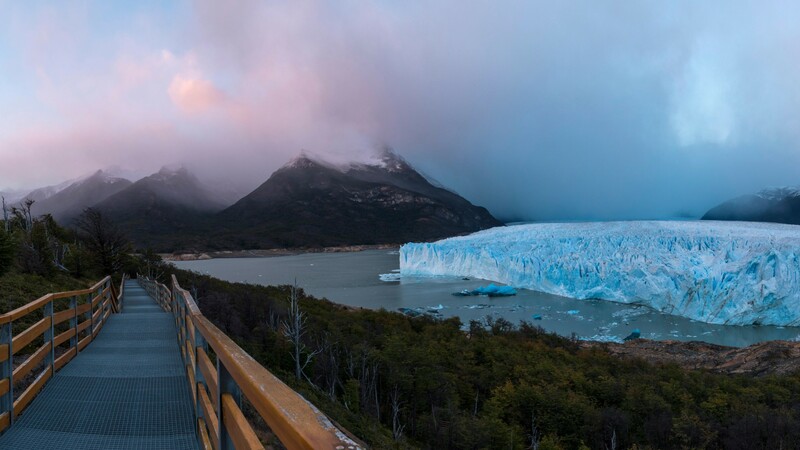 We’re on board the Ventus Australis, a recently launched 210-passenger expedition cruise ship that was built specifically for the demands of Patagonia’s rough waters and shallow fjords. The ship, as well as its older sister the Stella Australis, ferries adventurous punters between Ushuaia in Argentina and Punta Arenas in Chile, stopping twice daily along the way to go ashore on uninhabited islands full of glaciers, penguin colonies and the signs of former indigenous communities. 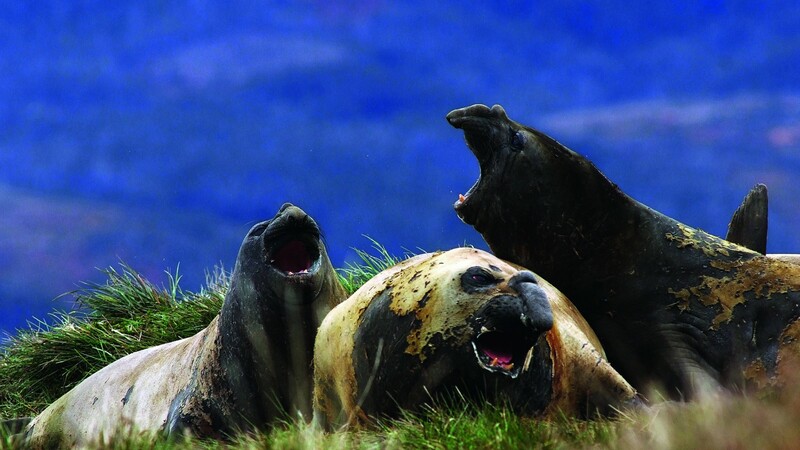 Today, thanks to a crack team of expedition experts, an entire rear deck of Zodiac rafts and two unlucky kitchen porters who have been tasked with standing in the tumultuous water holding a makeshift jetty, setting foot on the hallowed ground of Cape Horn is going to be an absolute cakewalk. And then just like that, the weather suddenly turns. As we round a shallow slab of rock named Isla Deceit, the wind picks up, shrouding our destination with low cloud and thin, misty rain. This is more like it. As soon as we’ve dropped anchor, a pack of intrepid Zodiac drivers are out on the water testing the safety of the ever-increasing swell. One of them, wrapped head to toe in Gore-Tex and thermals with only a slit for his eyes, is so focused on tugging the outboard motor’s start rope that he fails to see the small pod of dolphins leaping through the water just metres behind him. If those guys are out enjoying the water, then surely we’ll be fine. A few heart-in-the-mouth minutes later, a radio cuts through the throngs of bright orange life jackets and American accents in the ship’s main lounge: we’re on. Suddenly, we’re crushing our way out of the weather-proofed doors and winding down the ship’s rear stairs, the sun now teasing us with its rays through the thinning clouds as we queue to get onto the rafts. Here in Patagonia, you can experience all four seasons in a day, sometimes even in as little as an hour. 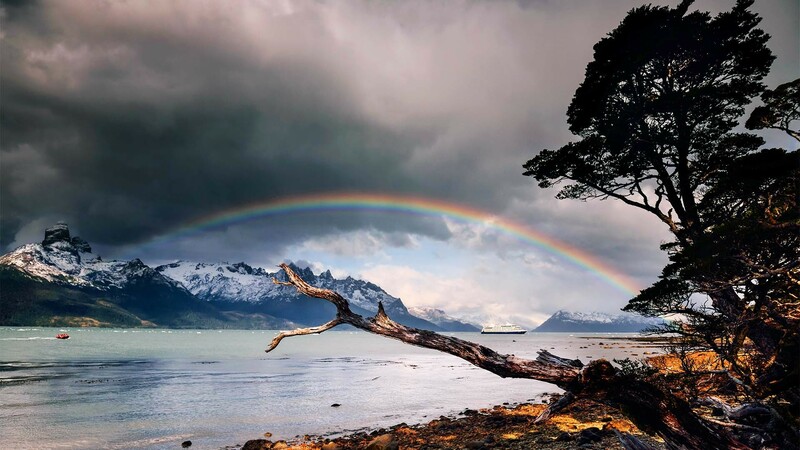 That can mean a lot of rain, a lot of snow and a lot of fog hanging low over some of the world’s finest geological features.While that means the scenery isn’t always like it is in the marketing photos, it can also mean a lot of rainbows, too. And there it is: the sun burns off the cloud and a faint arc of colour appears out to the east as the queue guffaws, whoops and snaps hurried photos before boarding the rafts and plopping both feet on the southernmost piece of continental rock on the entire planet. The island is little more than steep stairs hewn out of the cliffs, long grass and a boardwalk between an albatross-shaped monument, a radio mast, a tiny wooden chapel and a lighthouse manned by a different Chilean family each year. It’s a windswept space with air so intoxicatingly clear you could almost be at altitude. It’s both a beautiful view and a total lack of one, because in all but one direction there’s nothing to see but miles of open water. But this tourist attraction isn’t about the view, nor is it about an incredible visitor experience, a museum or a gift shop; it’s about the journey it takes to get there. And to my fellow passengers – from bucket list-chasing Brits who’ve quit jobs to be here to 90-year-old Americans with double knee replacements – the bleak, rugged finality of this place holds a mythology and magic that few other destinations can match. Few destinations but the rest of Patagonia. For many, this land of fire and ice at the uttermost end of the planet is reduced into signs: the Welsh contingent that call Chubut province home, the iconic outline of Mount Fitz Roy on the Patagonia clothing logo, the small square of ‘brontosaurus’ skin from Bruce Chatwin’s In Patagonia or the so-called Patagon giants that Portuguese explorer Magellan named the region after. This mythology begins to make sense when you’re there, staring it in the face and breathing it in. 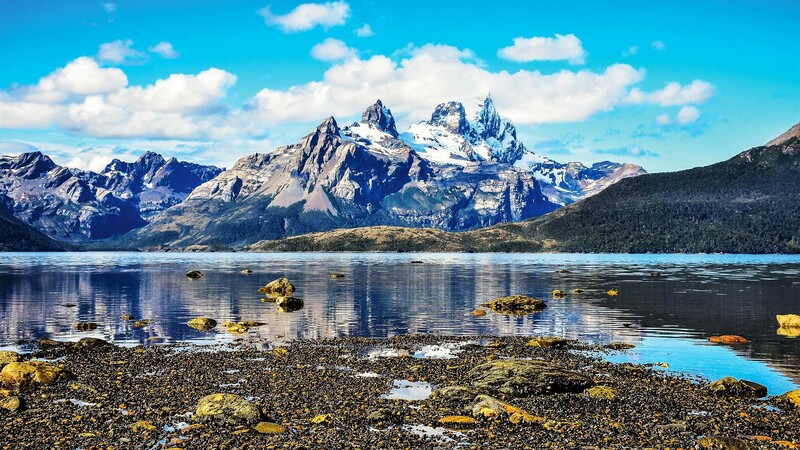 While there are no actual giants, dinosaurs or rogue Welsh people anywhere near this boat in Tierra del Fuego, there are plenty of those iconic mountains. This is where the tail-end of the Andes meets the ocean, rising dramatically from the water like the spine of a slumbering beast. I spend my next three days hiking in the valleys at the foot of these mountains, being led through impenetrable prehistoric forests and past gushing waterfalls of glacial meltwater. And then there are the glaciers. According to my guide Lorena, the whole landscape we’re cruising through was carved by them thousands of years ago, and today a whopping 800 remain. Some can only be seen fully by boulder-hopping up their lateral moraines, some cause small tidal waves as they offload ice into the water below, one even creaks to the sound of lounge jazz as I watch it through the fogged-up bar window. But that’s not the whole story: it takes 10m of compacted snow to make 8cm of glacial ice, and with temperatures constantly rising the glaciers here simply can’t keep up. As a result, all but one of the 800 in the region are now retreating back up the valleys they created, and some have lost as much as 40% of their volume since 1945. As rich with seals, penguins and birdlife as this region may be, wildlife habits are changing slightly each year in step with the glacial melt, demonstrating that our impact extends far beyond the places we inhabit. 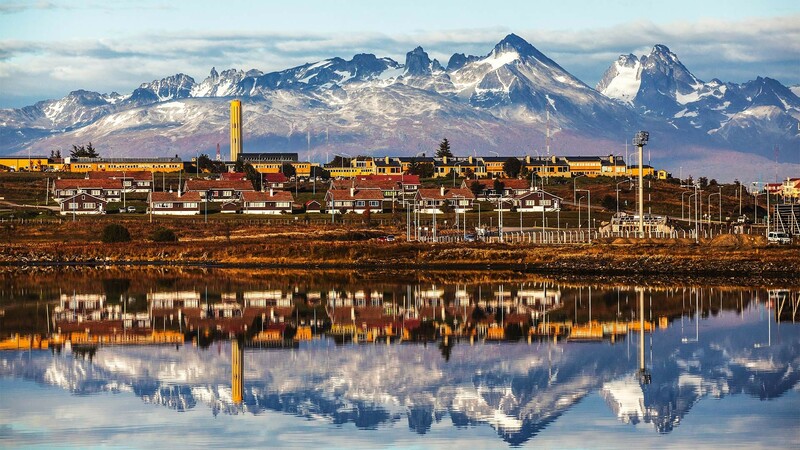 In the wider Tierra del Fuego archipelago, scientists have taken samples of atmospheric dust trapped in peatlands, identifying changing periods of human activity by examining the pollutants in each core. The evidence is granular: it shows an industry of copper smelting by pre-Incan settlers, the gold rush of the Spanish discovery era and the switch from leaded to unleaded petrol in South America in the late 1980s. Every scar we impose on the environment is being stored here. That’s why Australis has been tasked with conservation. As well as delivering essentials to Cape Horn’s lighthouse and maintaining a museum of natural, indigenous and colonial history at the cruise’s first jumping-off point, Wulaia Bay, the team help blaze low-impact trails and work closely with conservationists who examine not just the region’s unique habitats, plants and animals, but the impact of human life on the planet as a whole. When it comes to passengers, responsible travel is the name of the game. 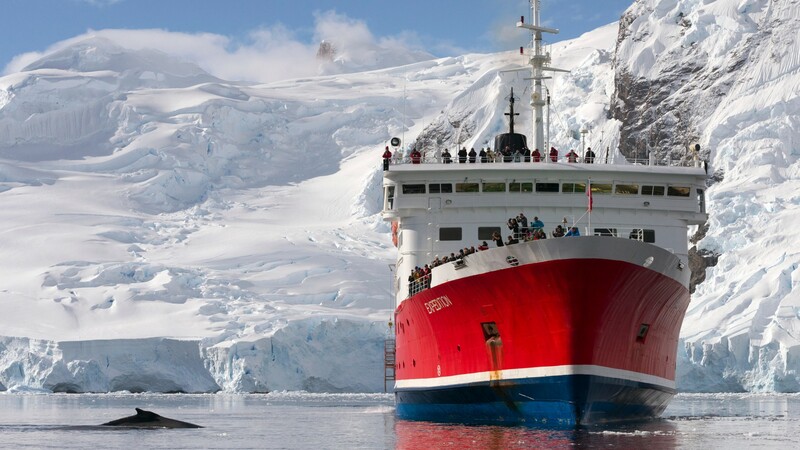 As a Chilean company, Australis is the only cruise line or tour provider permitted to visit these isles – Cape Horn included. This obviously comes with a few conditions: you have to walk through an antibacterial foot bath every time you board the ship to stop the spread of indigenous plantlife from island to island, and once ashore you can take nothing but photos. And you probably don’t even need those, as an experience on the penultimate day proves. Fixing my sights on a rolling cliff covered in trees that look minute alongside the hulking blue ice, I begin to breathe deeply. “One… two… three…” says Cristobal, and then what? Nothing. Nothing except the trickle of water pouring out at the bottom of the glacier, a long pause and the cawing of two straw-coloured falcons swooping out of the valley to the left of me. A minute or so later, a cormorant honks somewhere out of sight, and then the radio’s back on and we have to leave. On an adventure like this, these moments come thick and fast, from sunrise walks among thousands of knee-high penguins to seals breaching outside your window at sunset. And it’s these moments that last a lifetime, not just because they’re so far removed from our day-to-day lives, but because your lifetime is less than a minute to this landscape. Hopefully it’ll still be here long after we’re gone.